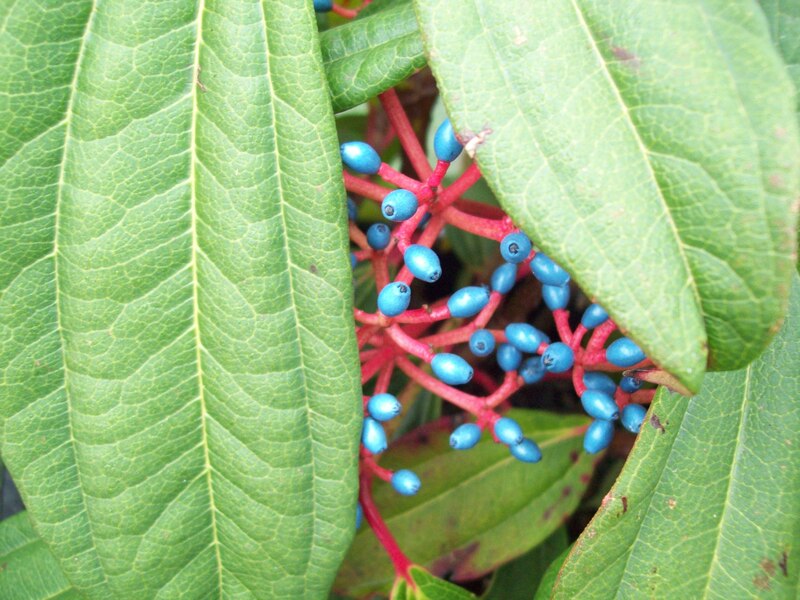 One of the best blues in the plant world is the berry of David’s viburnum. It sparkles like a distant northern star in the winter garden. 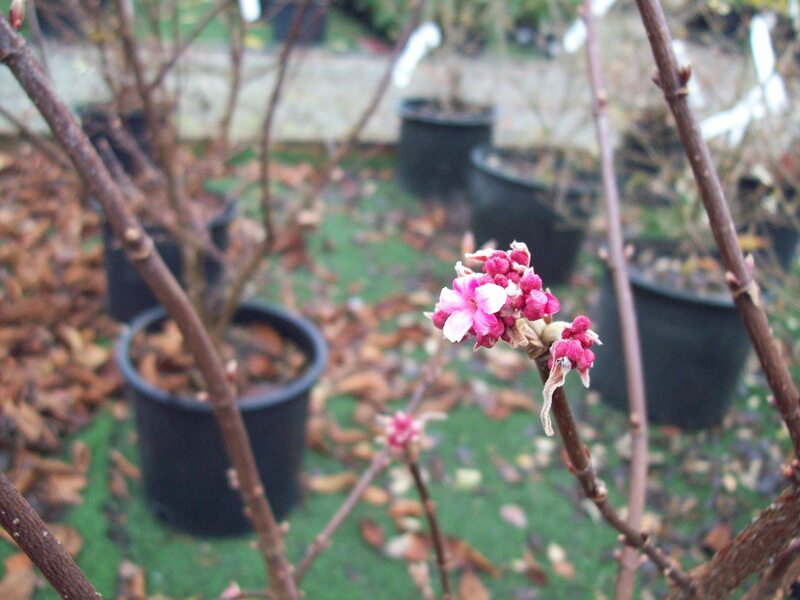 Dawn viburnum is just peeking out in shades of pale pink, petals before foliage on this plant. What a lovely viburnum for your area…I have a similar that looks like blueberries on the bush called Viburnum Blue Muffin…Birds love it and strip it clean in fall. I agree, there are so many plants we take for granted….rhody, viburnum, Pieris….they are everywhere!